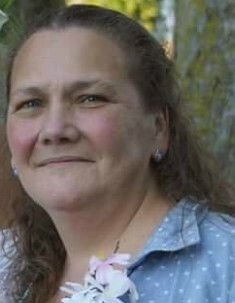 Trena Louise Counterman (Nunley), 54, of East Peoria, IL passed away at her home on Saturday September 8, 2018. She was born on August 25, 1964 to Joe Carrington and Nancy Holmes (Kleiber) in Pekin, IL. In 2008, she met her soulmate Richard L. Cooper who was best known as “Tiny”. Surviving are her parents, Nancy and Jim Holmes, seven children; Amber, Nic, David, Wesley, Zachary, Nancy, and Benita, three brothers; Randy, Jimmy, and Tommy, and five sisters; Wendy, Tammy, Joni, Debbie, and Melody. Also surviving are eleven grandchildren. She was preceded in death by her soulmate, Tiny, and four brothers; Kent, Dennis, Brad, and Ricky. Trena had a passion for cooking for her family as well as crocheting and making things for them. She not only raised her four sons and three daughters, but also countless nieces and nephews. She was a loving soulmate, daughter, sister, mother, aunt, and grandmother that will be greatly missed. Cremation rites have been accorded and a service will be scheduled at a later date. To share a memory or send a condolence visit www.peoriafuneral.com.